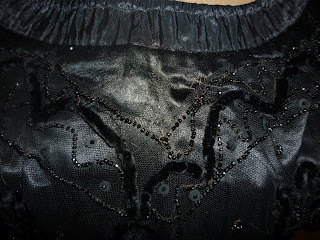 Beautiful silk is a true dense black, hook and eye fastening to the back. 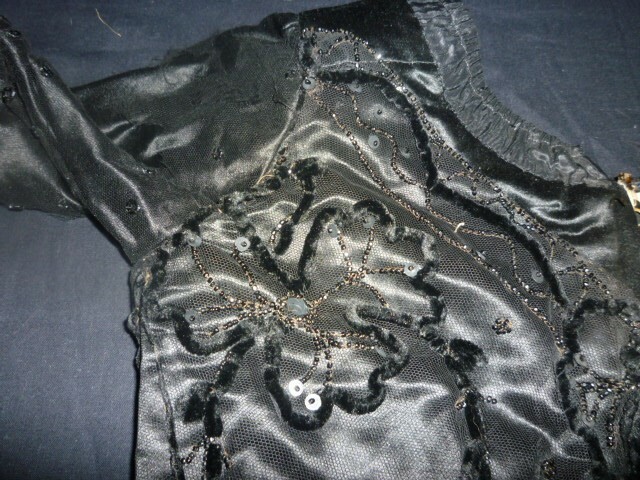 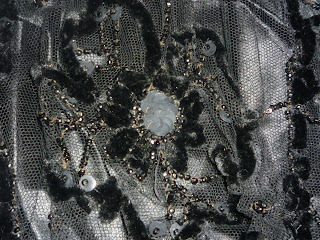 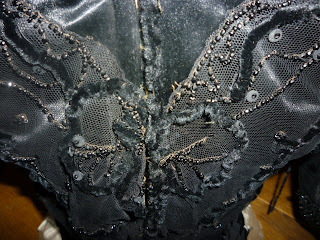 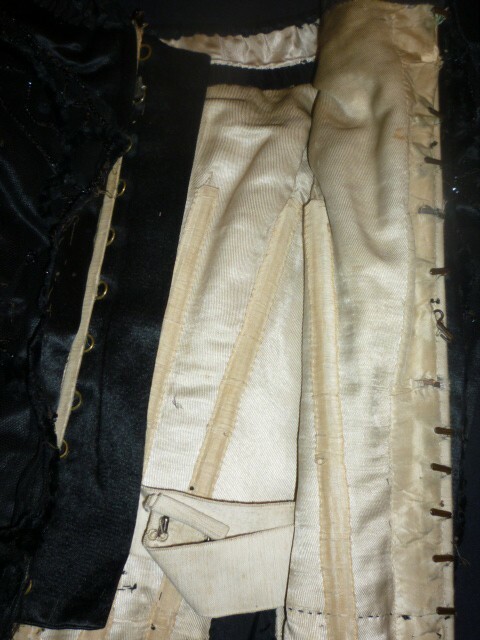 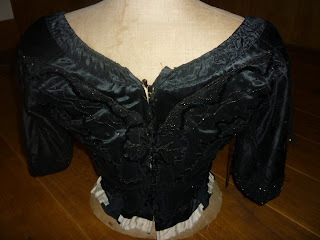 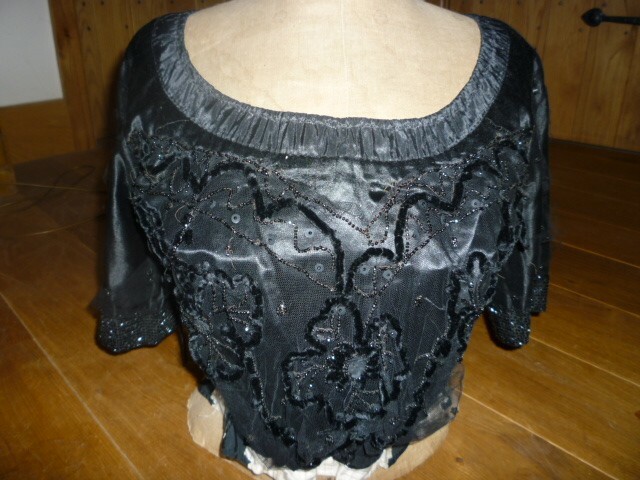 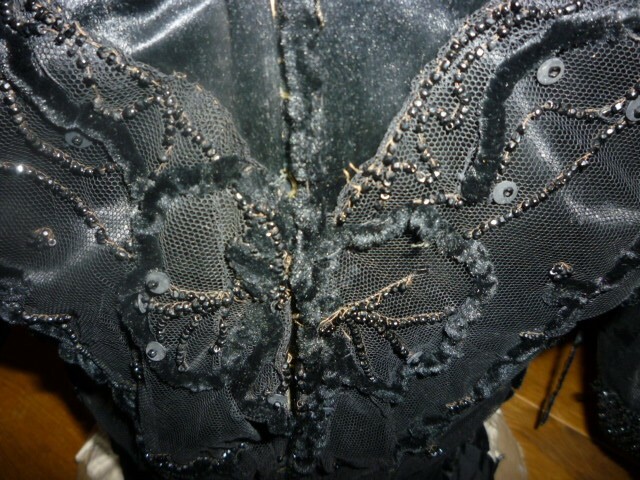 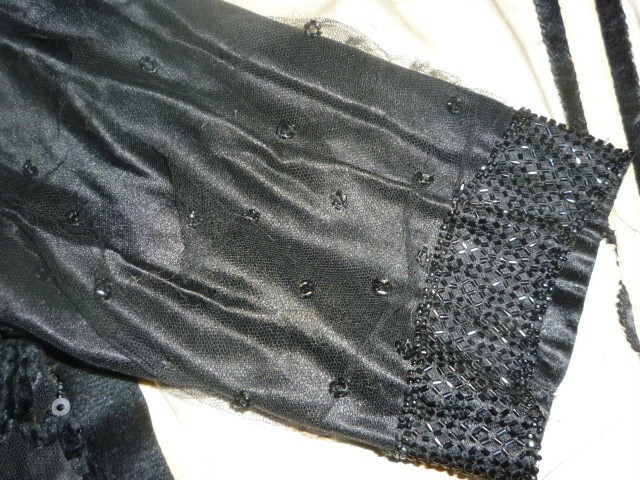 Please note this 19th century bodice has been used but there is no fade, stains, holes or thinning to the black silk, there are many tears to the tulle overlay on the sleeves. 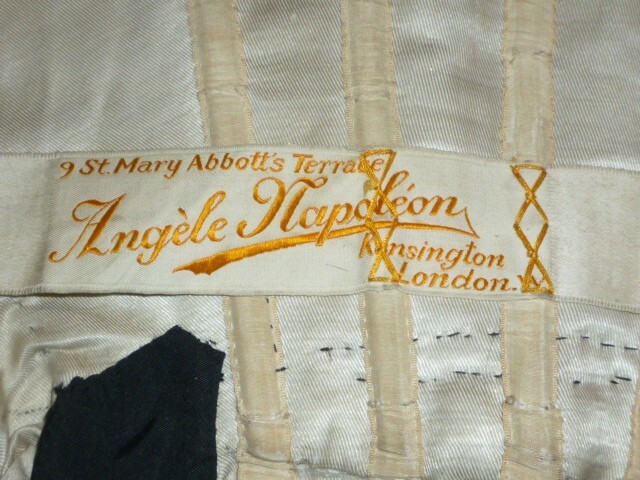 A little wear showing only to the silk lining edges and the cream silk outer waist band, click on any image to enlarge. 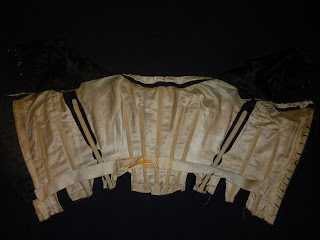 Generally a lovely period ladies dress bodice good antique condition to re-use for small textile sewing projects or study/teaching. Measures : 26" waist, 34" bust, 7 1/2" sleeve from underarm, 11" sleeve opening, 17 1/2" long. 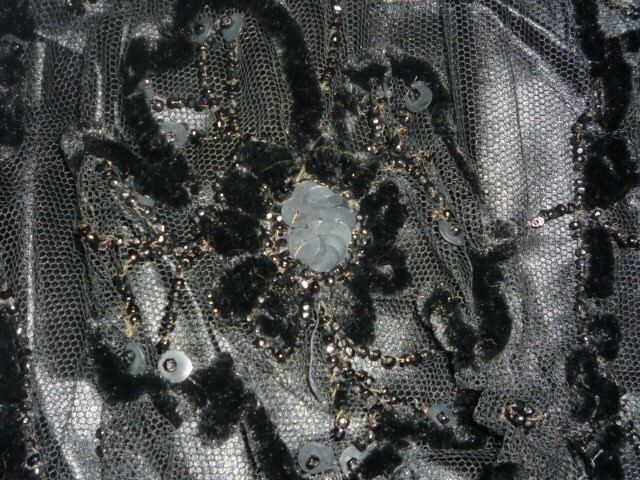 Weighs 295 grms unpacked. Not 1890 (note the sleeves), but most likely either very late 1900's or early Teens era. This would have been something you might have seen on the Titanic when it was whole. 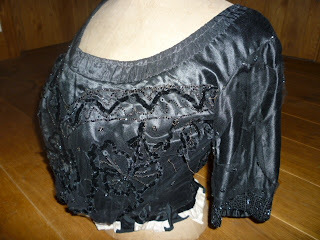 It's sad that someone cut the dress up (and probably sold the skirt for trim, gah! ).